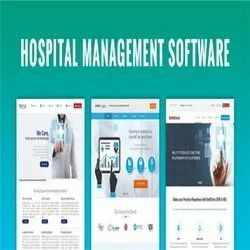 Our company is the leading company known for providing Hospital Management Software Development to the clients. This service is required by our customers for increasing business yield as well as creating a benchmark for them in the huge market. We have experienced professionals who are perfect in this field. BWS Hospital Management System is powerful, flexible, and easy to use and is designed and developed to deliver real conceivable benefits to hospitals and clinics. It is an integrated end-to-end Hospital Management System that provides relevant information across the hospital to support effective decision making. We offer customers complete Hospital Management Systems that helps in providing complete solutions for hospitals and other related services. The software helps in successfully handling the activities of different departments like Administration, Chemist, Laboratory, OPD, Create/Edit User. HMS is windows based Hospital Management Software. 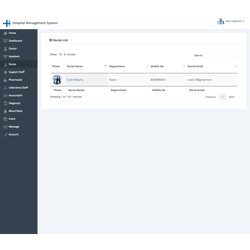 HMS will be an integrated, modular client server based system working around a common database. The solution will be developed across HMS using the computing technologies including RDBMS, LAN and GUI based. Enriched by our vast industrial experience in this domain, we are into providing Hospital Management System.